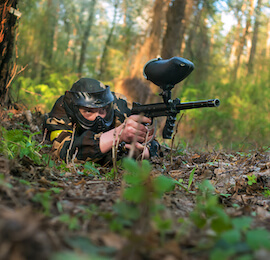 Welcome to the Bucks Paintball Shootout package! Here, you’re going to be offered the privilege to line up your lucky (or unlucky) Buck in the crosshairs, and fire away with a paintball gun! Some great eats, and an awesome night on the town, round out a great celebration with the boys. 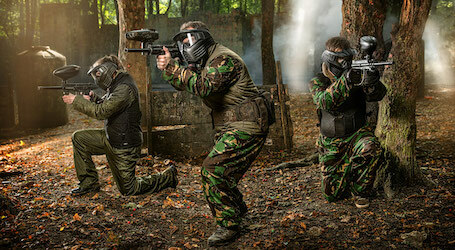 At Wicked Bucks, we know how to throw one hell of a party, so get on board with the Wellington Bucks Paintball Shootout package and let loose! 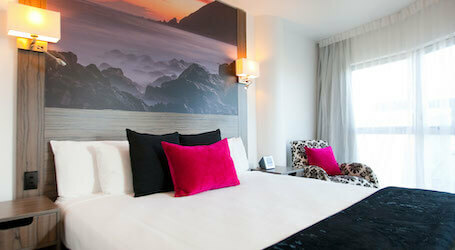 You’ll be sleeping in style for this party – as befits a man about to take the plunge! Your accommodation, a 4.5-star spot in the midst of the action of Wellington, comes complete with free Wi-Fi, a fitness center, and an onsite bar and restaurant, to keep you refreshed. A first-class spot to rest weary heads. Now is the time to break out those itchy trigger fingers! 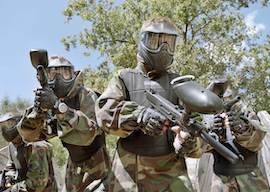 You and the boys are going to war, on this huge skirmish field, with 300 paintballs and all equipment provided. Your Buck is going to require all of the speed and agility he has to withstand the barrage of pain you are about to inflict on him, as you play a variety of war games on this awesome, terrain-rich field. Keep those heads down! Now that you’ve worked up on appetite on the field of battle, it’s time to set a base for the night ahead. 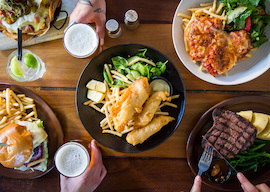 You’re headed to dinner with the boys, at a spot well-known for its outstanding pub fare and huge selection of tap beers. A two-course meal, and a drink, are waiting to refresh and revive you. 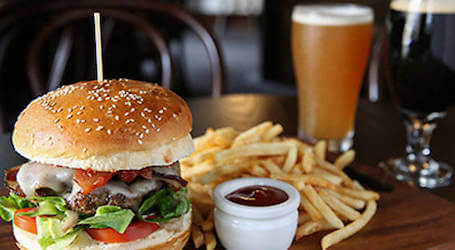 Now tuck in – there’s plenty of party ahead of you! Ready to get your groove on? 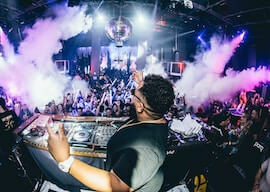 It’s time to hit the club, and you will roll up to it with VIP entry awaiting you. 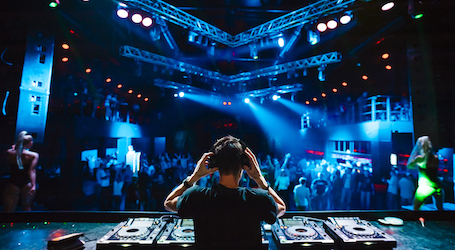 Put in drink in your hand, and enjoy the DJ spinning some of the hottest tracks around, as you enjoy the tunes and the plush surroundings of this awesome party spot. Drink up lads, we’re not here to mess around! Now, there’s just one stop left on this party of parties. You and the lads are headed to the gentleman’s club! Free entry and a free drink are waiting for you, so head to the bar, pick your poison, and take in some incredible sights from up on the stage. The perfect finish to a great day!